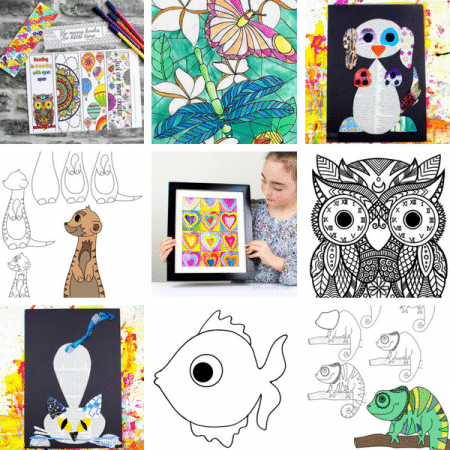 We love our interactive paper crafts at Arty Crafty Kids and have a growing collection of animals crafts with bobble features. 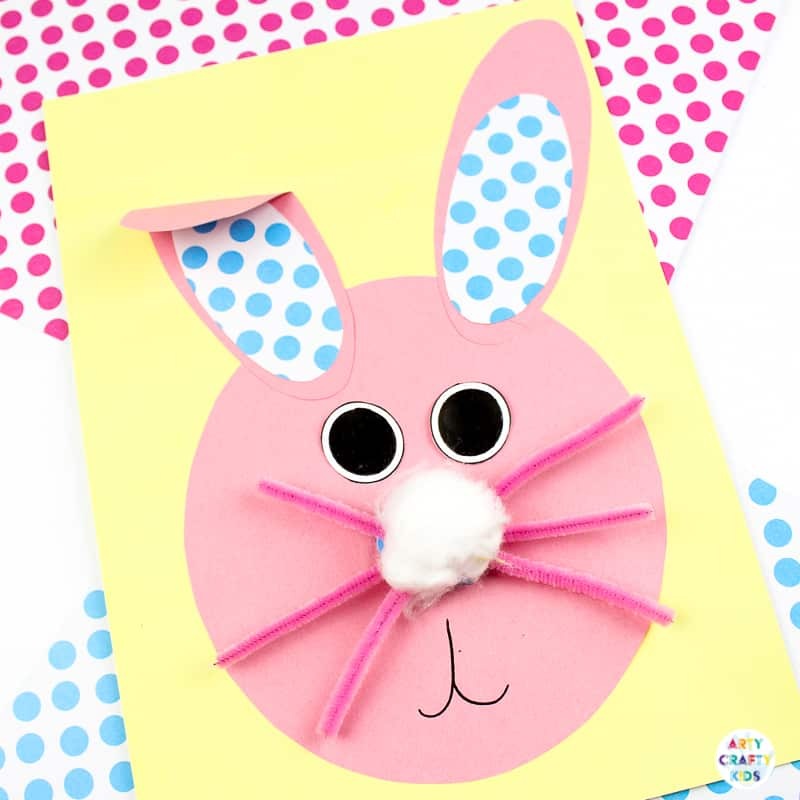 With its wiggly and stretchy nose, kids will love creating this engaging and simply adorable addition – Bobble Nose Paper Easter Bunny Craft. 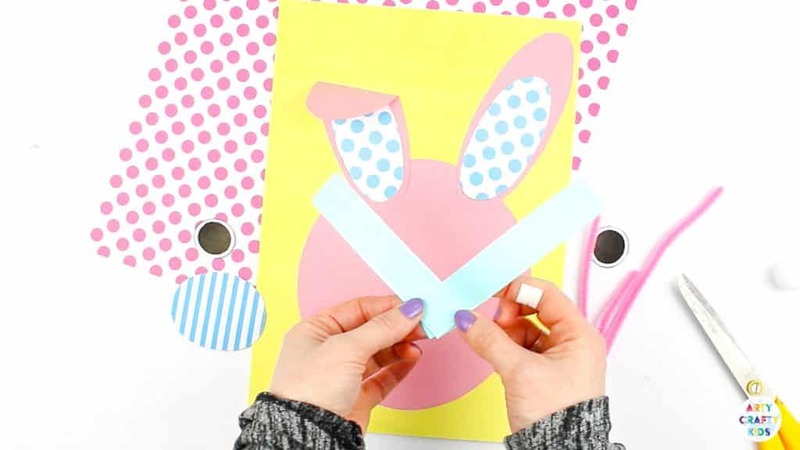 Like many of our paper crafts, our Bobble Nose Paper Easter Bunny comes with a printable template with simple shapes to encourage Arty Crafty Kids to practice their cutting and tracing skills. 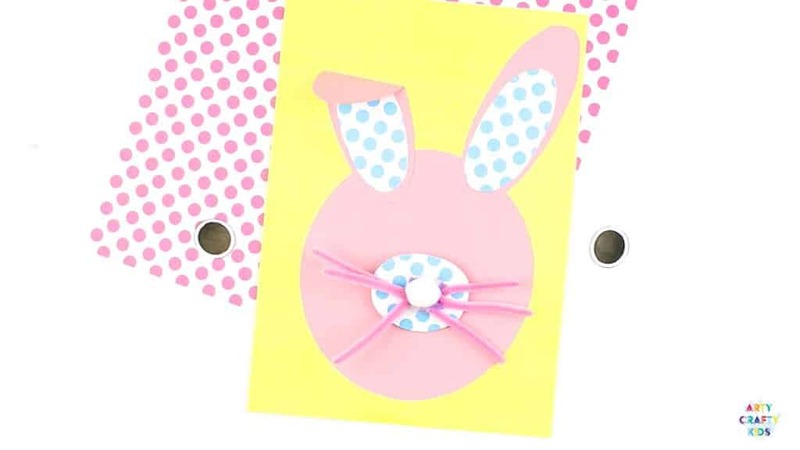 This is a wonderfully simple Easter craft that can be used within the classroom and adapted to suit children of all ages. For instance, if the bobble nose is too much for younger children… leave it out! 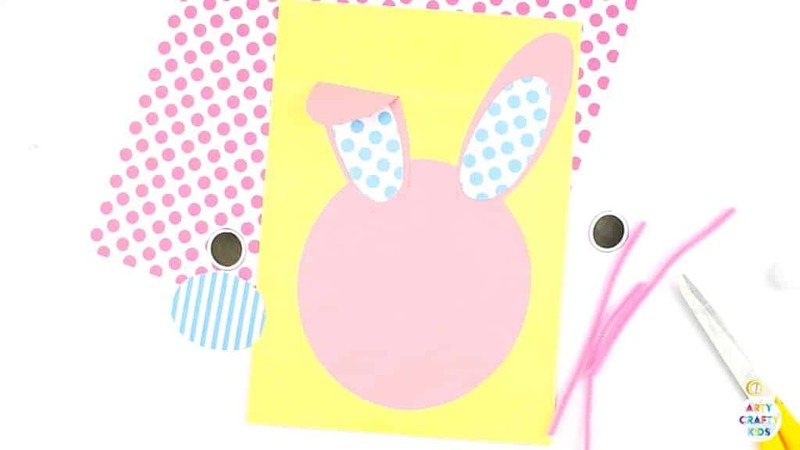 The Bobble Nose Easter Bunny Template is exclusively available to Arty Crafty Kids Club members. 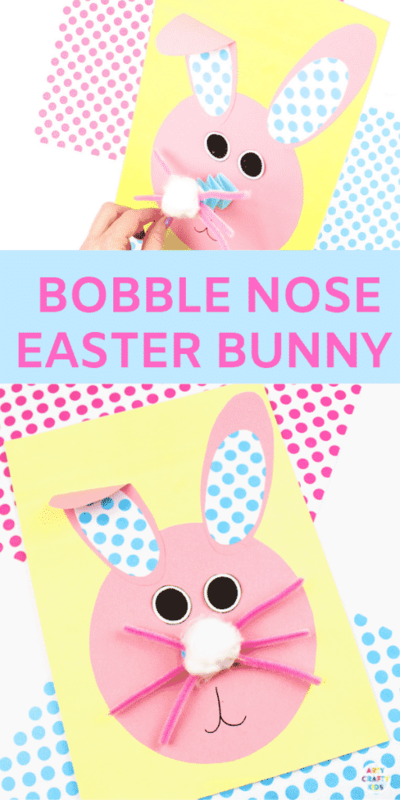 Download and the print the Bobble Nose Easter Bunny from the Arty Crafty Kids members area. Cut out the template elements. Trace around the head and large ear (twice) on to one sheet of coloured paper. 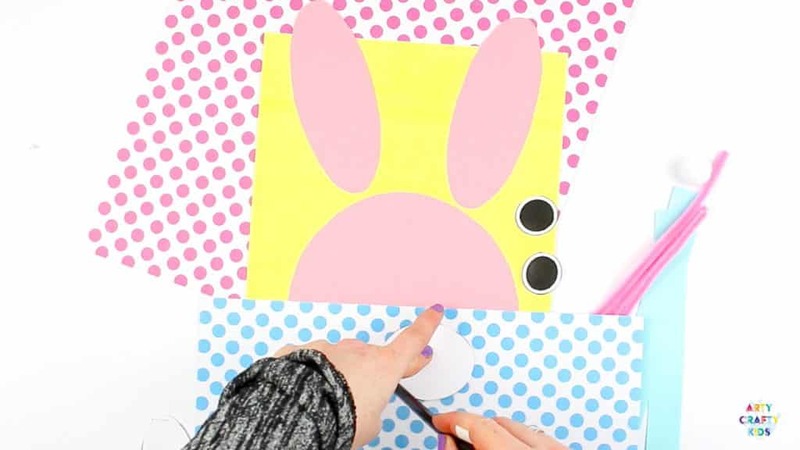 Cut out the Easter Bunny elements. Trace around the nose and smaller ear element (twice)on to a contrasting piece of coloured/patterned paper. 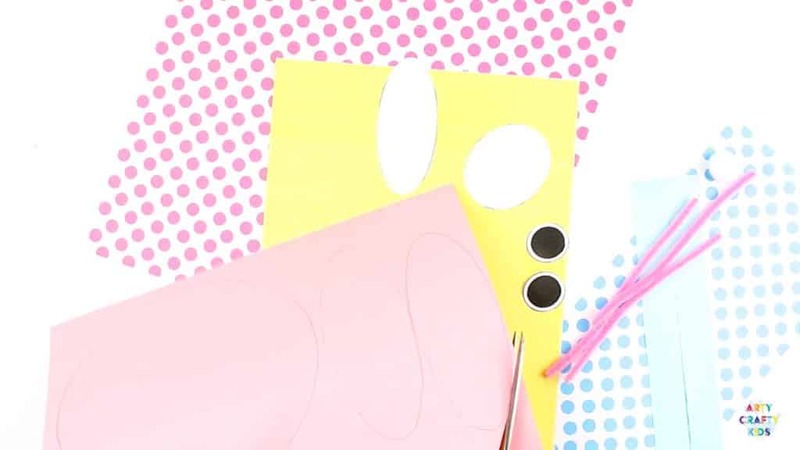 Assemble the shapes and secure with with a glue stick. With one of the ear pieces, only glue half way up the ear and fold the remaining ear over. 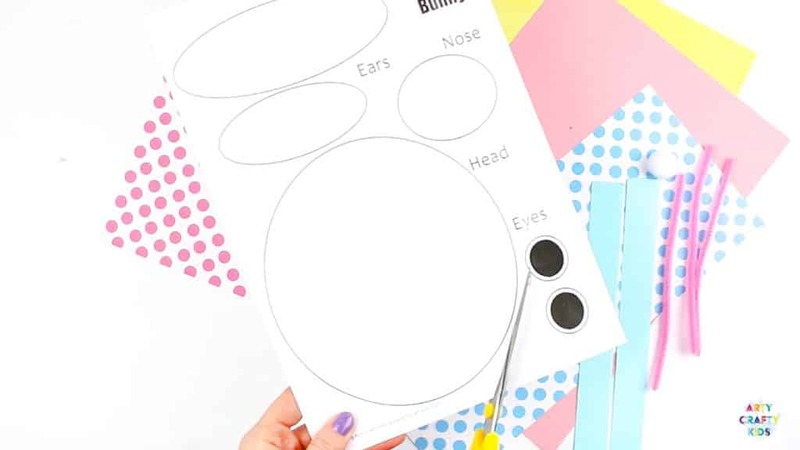 Let’s create a bobble nose! Attach one end of the accordion fold to the coloured card. 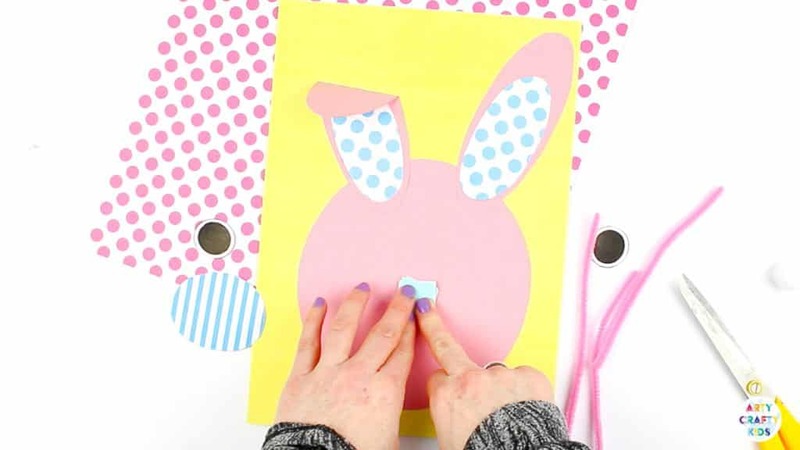 Stick the oval nose to the top of the accordion fold. 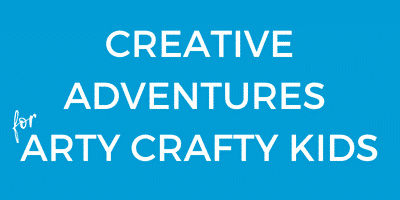 Take three evenly cut pipe cleaners and twist to secure. 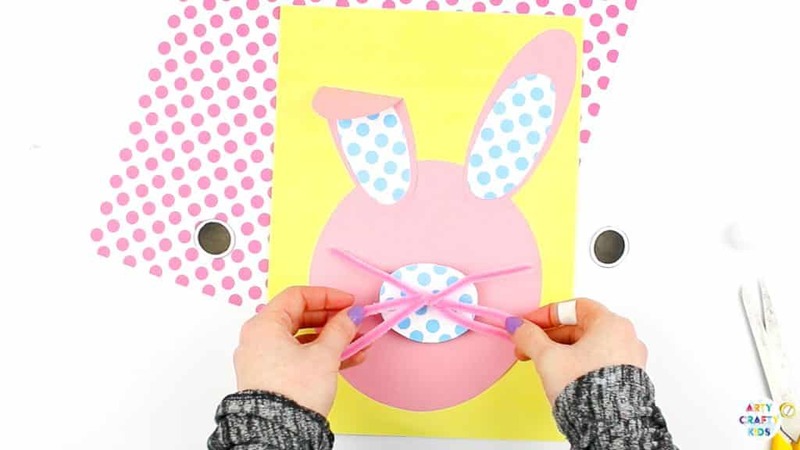 Stick the pipe cleaners to the nose area with glue or sticky tape. 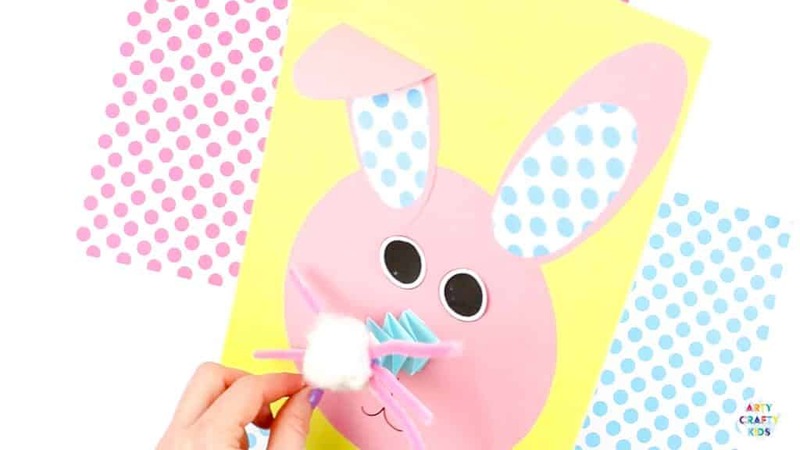 Complete the nose with a white pom-pom or cotton wool ball. 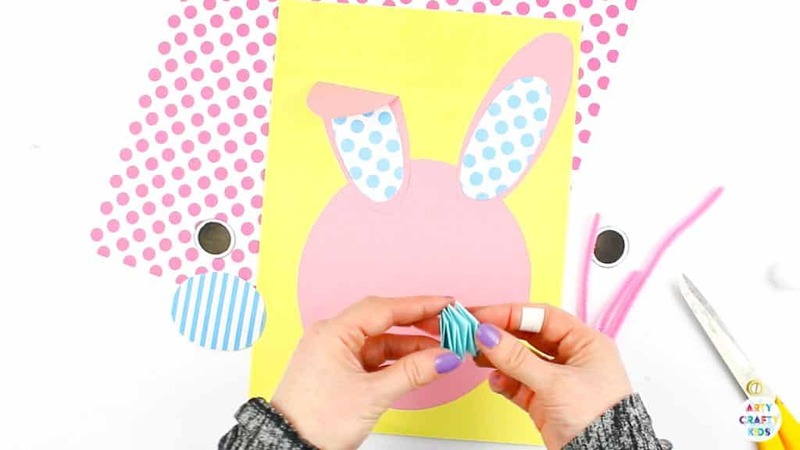 Pom-pom’s can be a little tricky to secure without a hot glue gun. For ease, a cotton wool ball might be easier! 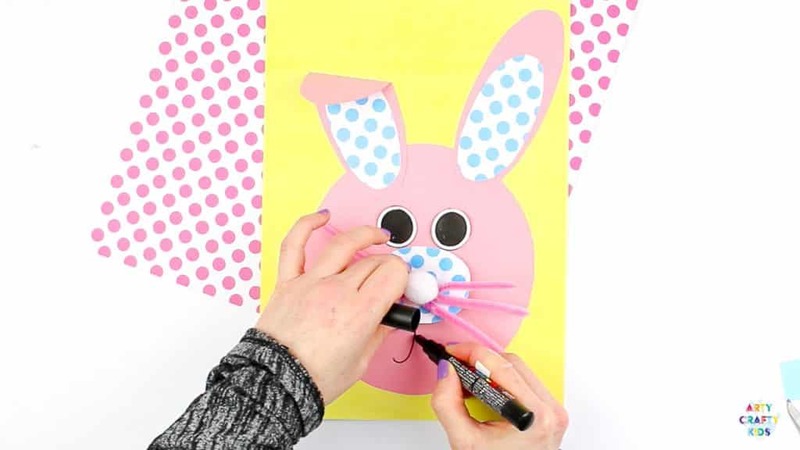 Complete the Bobble Nose Paper Easter Bunny with a pair of eyes and a smile! Once all the glue has tried, the nose will be ready to bobble! 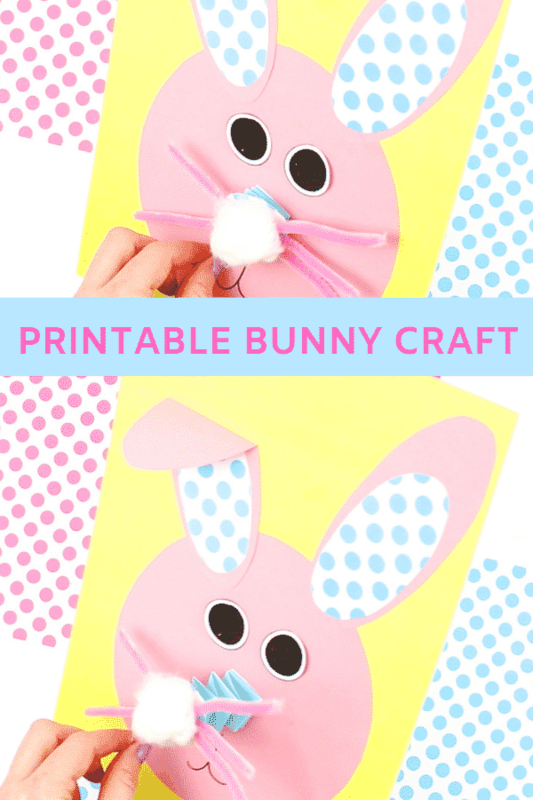 I hope your Arty Crafty Kids enjoy this Bobble Nose Paper Easter Bunny Craft.